Phil Mickelson pulls off a big win at The Masters and the lefties of the world celebrate. Why being a lefty golfer is considered such a taboo I don't know. I've never understood it. From a bio-mechanical standpoint, it doesn't make sense that there are any fewer lefty golfers in the world than there are 'lefties" in a normal population. Last time I golfed, we had an entire foursome of lefties. For once, I didn't look like the guy with the weird club in the group photo. 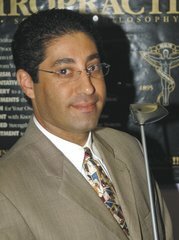 Now as an adult, I play golf and do so as a lefty because it feels more natural. The 99.8% of the time playing baseball, I batted left handed. But for some reason, when I went to my first driving range, I was told "because you play baseball left handed, you should play golf right handed because your left hand is your lead hand in golf and would give you more control"..... All I could say was....."Huh?" The fact of the matter is, you play golf with a left or right handed approach because of natural feel. Trying to change something from natural to unnatural doesn't make sense in any sport, unless it's causing the athlete physical harm or their 'natural way' is hindering their performance. Let's face it, many of us learned bad mistakes and continue to perpetuate them in our current sports and this is what needs correcting. Not someone's left or right handedness. But the fundamentals of playing a sports left handed or right handed should be left up to the individual and their own natural inclination. And for all those golf pros and coaches that make up some bio-mechanical 'B.S.' about why golf should be played right handed and not left - it's time to wake up and smell the fertilizer. I hope this 3rd Masters win (on top of all other career wins) for Phil Mickelson puts to rest the myth that Lefties aren't real golfers. Lefty golfer's of the world rejoice! Congrats to Phil & his family for showing us the complete package. Professional success & a successful family life. Standing by your wife and she goes through cancer treatment. Maybe Phil should run for President. 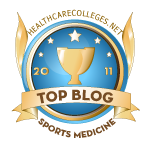 Interesting article on sports medicine i blog about sports medicine topics also, at a very amateur level. i am an undergraduate biomedical science student at GVSU. i like the discussion on development of left and right handed athletes and how that affects them in sports. One of the main mistakes that some left handed golfers make is also actually one of the more obvious ones, they attempt to play right-handed.